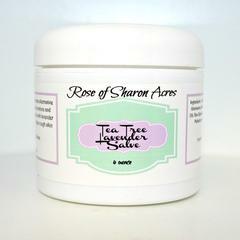 Rose of Sharon Acres deodorant sticks are designed to keep you odor free naturally, without aluminum or parabens. Skin loving oils plus powerful bacteria fighting essential oils makes this all natural deodorant a necessity for healthier living. Your underarms are one of the most sensitive and absorbent areas of your body, so don't put harmful chemicals into your body through anti-perspirant or harmful deodorants! Apply generously after showering. Listing is for one tube. The horrors of aluminum in deodorants! If an aluminum compound, such as aluminum chlorhydrate or aluminum zirconium, which is very soluble, is used as an antiperspirant, that compound is readily absorbed. Once in the body, the aluminum portion of the molecule ionizes, forming free or radical aluminum (Al+++). This passes freely across cell membranes, and forms a physical plug, that when dissolved is selectively absorbed by the liver, kidney, brain, cartilage and bone marrow. It is this concentration of aluminum that has been the source of concern in the medical community and has prompted the research being done on Alzheimer's disease and breast cancer victims. This is by far the best deodorant I've ever used. Anybody that is considering giving it a try, do it. It's got a much thicker texture than anything I've had before, so for those that don't shave (particularly men) this takes about a day or two to get used to. This is the first product I've used that doesn't end up smelling like body odor and fragrance, it just smells like deodorant through the course of the day. Fresh and light, sometimes unnoticeable which is the best part. Doesn't necessarily have a masculine scent to it, but it certainly doesn't smell overly feminine. Use some Cologne if you think it'll be an issue. This is s really great product. Do it. I had bad luck with the deodorant spray and thought I'd give this a try as a last ditch effort. The smell was lovely and I didn't develop any odor for quite some time. However, it turns out I'm allergic to tea tree oil, so it left a pretty painful rash under my arms. Just a heads up for anyone else who also might be allergic. The thicker-than-usual consistency took me a few days to get used to but once I did, I am glad I finally found a natural deodorant that really works. 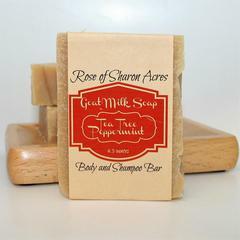 The initial scent is pleasant and I stay odor-free all day, even in my humid climate. I don't want to go back to chemically loaded deodorant again! I was worried about how well this would work since I had tried a few other natural deodorants by other companies, and they hadn't worked. I have been using this for about a week and a half, and I absolutely love it! It smells great, and I noticed that even after working out I don't smell like body odor! 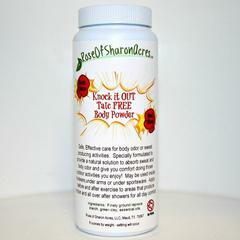 This deodorant has good ingredients and actually prevents body odors! It is not an antiperspirant, which is a good thing. For me the scent is not noticeable once it is applied. I do have to use a slightly different blotting/short stroke technique with only a small amount of the stick dispensed. Otherwise, it is just like using a traditional deodorant. I find that only a small amount of this is needed to achieve desired results. I have been amazed that one stick lasts about a year on average. Someone commented that this got on their clothing and would not wash out. I have never experienced this and I believe they must have been using too much of the product. The bottom line is I love this deodorant and hope they keep on making it! 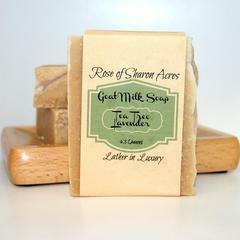 Made with Organic Shea Butter. We've now made a 4 ounce jar available!